Shakespeare had a word to say about most things but it may come as a surprise to modern fans that he mentions football on more than one occasion, when the game was far from beautiful. By the time the Bard was writing lines like these, the game of “ball-foot,” “fute-ball,” or foot-ball,” was well established in Britain. There was a version called “Camp-ball.” One can only be thankful that the name didn’t catch on, although the phrase, “hand-bags at ten paces,” obviously survived. The word “game” is old English for “fight” and early contests were certainly that, a huge brawl over an area where the “goals” could be several hundred yards apart or several miles. There was a ball, made out of leather, stuffed with horsehair or a pig’s bladder filled with dried peas. It was the Elizabethans who later invented the inflatable bladder inside a leather case. The earliest written confirmation that the ball was kicked comes from an Anglo-French Bishop of Lincoln (who may have been at the match for his own personal reasons) when he described, ”Four and twenty bonny boys, were playing at the ball…he kicked the ball with his right foot.” Which seems to indicate that pretty footballers have always been popular and that there was a shortage of left-sided players even then. 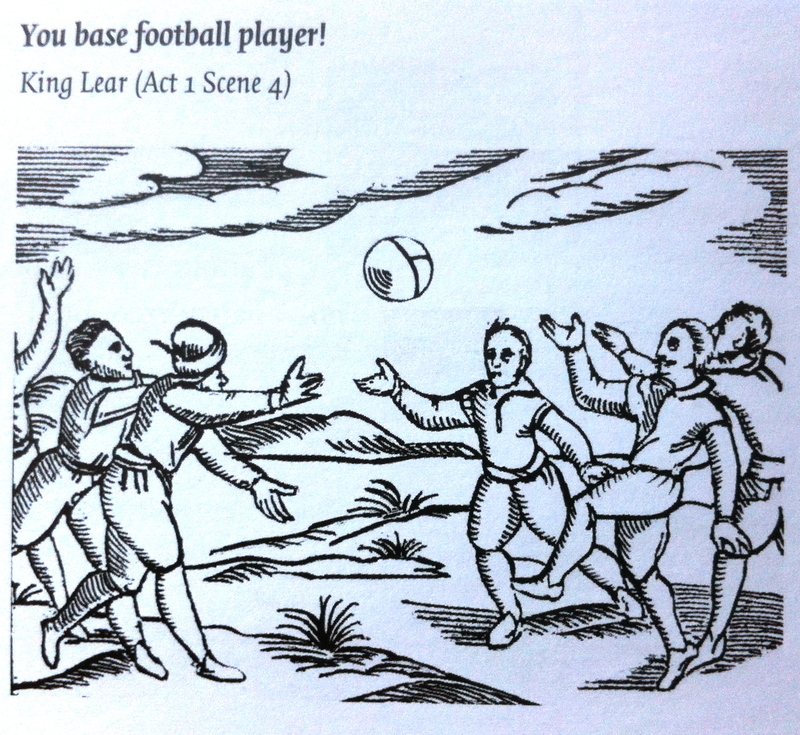 Mediaeval mob-football was organized mayhem. No rules (except to “score.”) no fair play and no Referees. Numerous laws were decreed to ban it, few of which proved successful. No government would attempt to pass that statute to day. Not if it wanted to remain in office. By the 15th century, town “teams” appeared and Premiership chairmen will be depressed to know that you could buy a whole team for 20 pence. Football boots appeared around 1526 and King Henry VIII ordered a pair. He also ordered 45 pairs of velvet shoes, so he wasn’t that keen. Although, being King, it was probably difficult to keep him off the team sheet. Whatever the formation was, there are no Elizabethan references to 4-1-4-1. There is a 16th century Scots poem, perhaps written by a McCoyle, which goes: “Bruised muscles and broken bones, discordant strife and futile blows, lamed in old age, then crippled withal. These are the beauties of football.” Nothing’s changed there, then. With games lasting up to four hours the players would resort to the tavern for a little refreshment before the carnage continued. The first “Footballer’s Arms.”? It wasn’t until 1870 that pushing players in the back was forbidden. Sadly this still doesn’t seem to have been taken on-board. Sober or not, it would have taken a brave man to foul Henry VIII. Especially when he was wearing his new Fute-ball bootes.